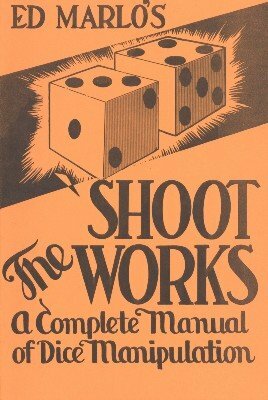 The greatest ebook on dice work ever written for the magician. A complete manual of dice manipulation from the magic angle. Reputation making tricks. A wealth of content, including the Great Dice Stack in which four dice on the table are covered with a dice cup. Performer slides cup in a swinging motion, with its mouth against the table, then lifts it, and the dice are piled in a perfect upright stack! Featured by the famous John Paul, John Platt and many other close up men. Also includes dice transposition, a dice and hat routine, holdout, They're Loaded, 3 dice and a coin, etc. Complete analysis of Dice Control on soft and hard surfaces. Complete explanation of Soup and Crooked Dice of every kind, including detection and switches. Gambling Demonstration Routine, lecture outline, suggested program, expose, explanation of terms. 1st edition 1943, 50 pages; 1st digital edition 2012, 44 pages. "It's Old But It's New"